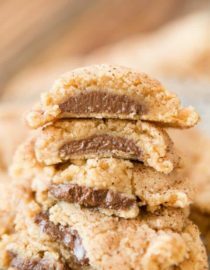 Look at those soft and fluffy peanut butter cookies stuffed with melty chocolate wafers (basically a big chocolate chip that’s been flattened). Check out how easy it is to make them! These are the best peanut butter cookies I’ve ever had. 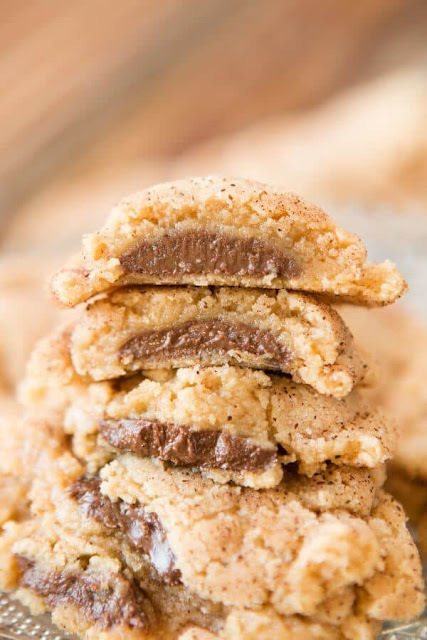 Peanut Butter Meltaway Cookies are soft peanut butter cookies, stuffed with chocolate and rolled in cinnamon sugar! Place the cinnamon sugar in a small bowl. Set aside. 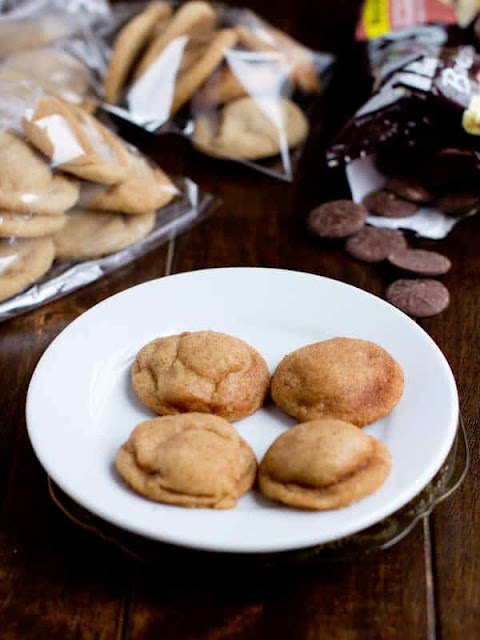 In a standing mixer, combine the peanut butter, butter, brown sugar and white sugar. Mix on medium high speed for 1-2 minutes, and the mixture become creamy. Add the egg and vanilla and mix to combine. In a separate bowl, combine the dry ingredients and slowly add to the wet ingredients with the mixer running. Mix until combined and turn off the mixer. Place a tablespoon amount of dough in your hand and flatten on your palm. Add the meltaway and fold the dough over the chocolate and then roll into a ball. Roll the dough in the cinnamon sugar and place on a parchment lined baking sheet.